Yesterday, Sunday, March 24, we were not deterred by the rain or cold. 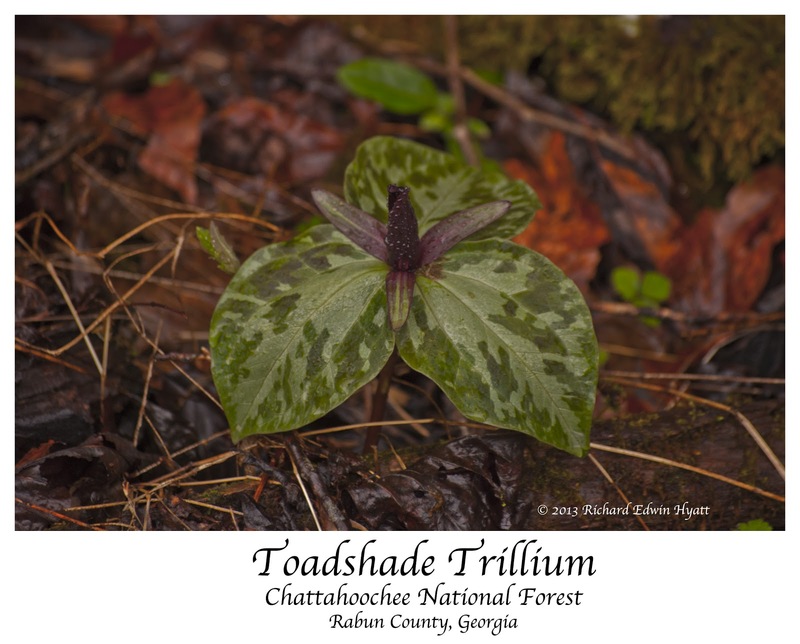 We traveled to Devils Fork State Park in South Carolina in search of Oconee Bell wildflowers. On the way we stopped at a favorite trillium site in the Chattahoochee National Forest. It is along US 76 on the Georgia side of the Chattooga River. Literally, hundreds of trillium bloom here each year. Sure enough we found time doing well bursting forth in hopes of spring.